So, you can see from the graphs in the post below how I did with my personal challenge to try to get 10,000 steps in a day. If you throw out the final data point for a day when I forgot my Fitbit, I averaged about 9600 steps a day, which is a fantastic average. My long term average is 5,400. I had 16 days over 10K steps, which is the same as what I had in all of 2012. 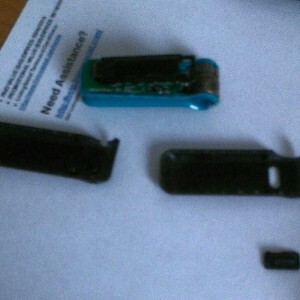 I ended up getting a new Fitbit One mid-month, when my Fitbit Classic kind of fell to pieces. – It’s still pretty cold in the mornings in March. – The Fitbit One has a nifty feature that allows it to vibrate an alarm. I use it to remind me to get up and walk around at work mid-morning and mid-afternoon. – Sams Club is further away than I expected it by foot. I’ve been doing more Yoga via a Rec and Ed class. It’s been challenging and rewarding. I have been shaving with a razor (instead of an electric shaver) since the beginning of the year. It’s nice because I don’t have to shave every day anymore. I’m not very good at getting reviews of the media I am consuming written up. I think my April goals are Plant a Garden (I planted flowers and built myself a raised bed garden last Saturday. Now I just have to fill the garden with soil and figure out what to plant in it.) and Be Braver. I’m also testing Take a Real Vacation.